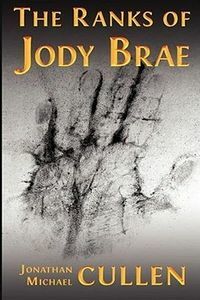 The Ranks of Jody Brae by Jonathan Michael Cullen: Synopsis and Online Purchase Options. Synopsis (from the publisher): Boston 1964: Fires rage throughout Roxbury, a vast urban slum, destroying buildings and leaving families homeless. The local press, politicians and civic leaders have all ignored the rash of fires, probably because the Arson Squad has determined every incident to be accidental. But, as the fires become a nightly affair, police reports and building records go missing and fear becomes a regular companion for the residents of Roxbury. What begins as a routine investigation turns into a nightmare of survival for Jody Brae, a Boston cop who grew up in an orphanage in the neighborhood. As Roxbury burns, he wanders the back alleyways of the city alone, determined to uncover the secret of the fires. Abandoned by his own police department and questioned by the woman he loves, Brae's search leads him to an aging underworld figure who knows as much about the fires as he does about Brae's own troubled past. With no one left to trust, Brae makes a pact he may not live to regret.